Positioning Vertical or horizontal, positioning the Akucal makes all the difference when it comes to ACCURACY for orthopedic templating. Review this positioning guide for reference. Email or call if you can't download. Thank you! We will be in touch with you shortly to double check your information. Your trial will begin when we ship you the sample. We highly doubt you'll want to send it back to us but in the event that you do, let us know to look for it and be sure to put your Facility name as you listed it in the form. J2 Medical's x-ray scaling and orthopedic templating products. J2 Products are the best and you can step foot on any continent in the world and see for yourself. Take a closer look and fill out the form below for a quote to be sent to you via email. Feel free to give us a call if you have any questions! We're here to make sure you have everything you need and to keep your scaling as accurate as possible. (412) 573.6116. The Akucal™ is Patented, FDA registered and CE marked. 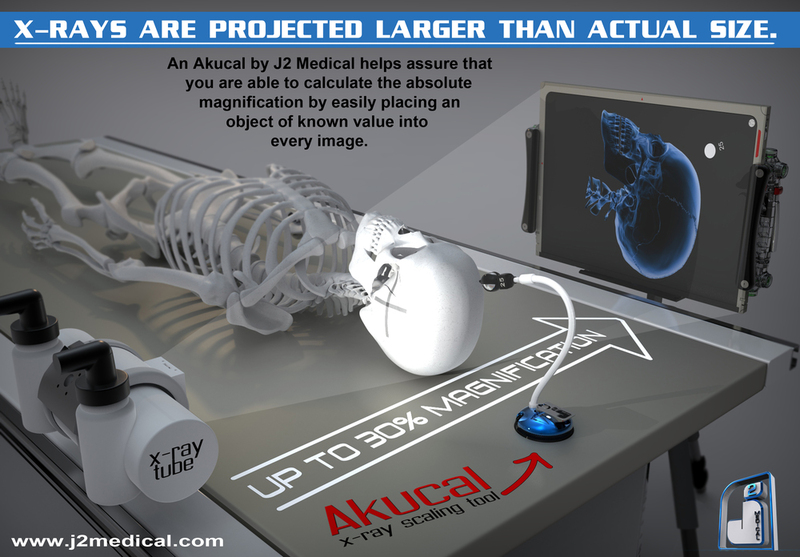 The Akucal™ is the design result from feedback of thousands of Surgeons worldwide. Accuracy, usability, quality, reliability and diversity make the Akucal™ a cornerstone of digital radiography and orthopedic scaling. 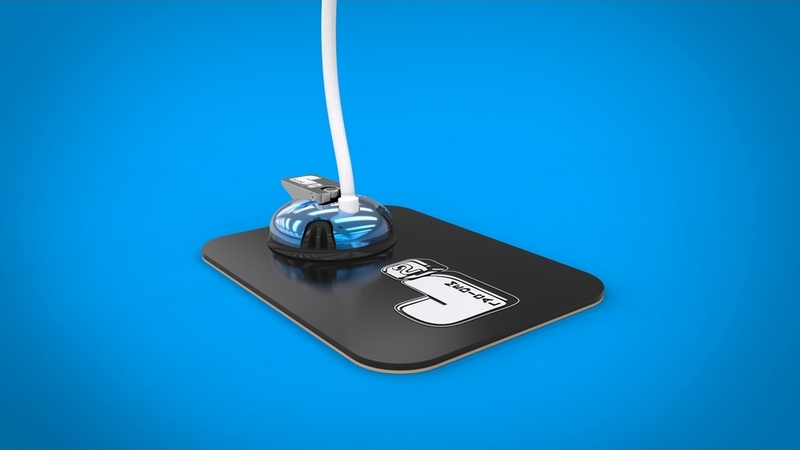 A solid aluminum suction cup allows for a small 3 inch footprint on the table or vertical on a wall bucky. The fully-covered and positional arm assures easy sanitation. The marker is removable and the size of the marker is verified in the image. Available in 25MM, 1 inch and 30MM. 25MM is the standard. Rollr Markers™ are the most precise x-ray markers on earth. Each surgical stainless steel marker is guaranteed to be absolutely perfect in every way and will not blemish or dent if dropped. Every facility should have extras on hand. We sell them in packs of 6 and offer them in 25MM, 1 inch and 30MM. 25MM is the standard. Extra Ballclaws™ come in handy if sanitation or continuous usage is a concern. Ballclaws™ are designed to be disposable but highly reusable under most conditions. Extras are sold in 6 packs. The same sleek, stylish design that has become the standard for J2 Medical now offers yet another great advancement in image scaling. 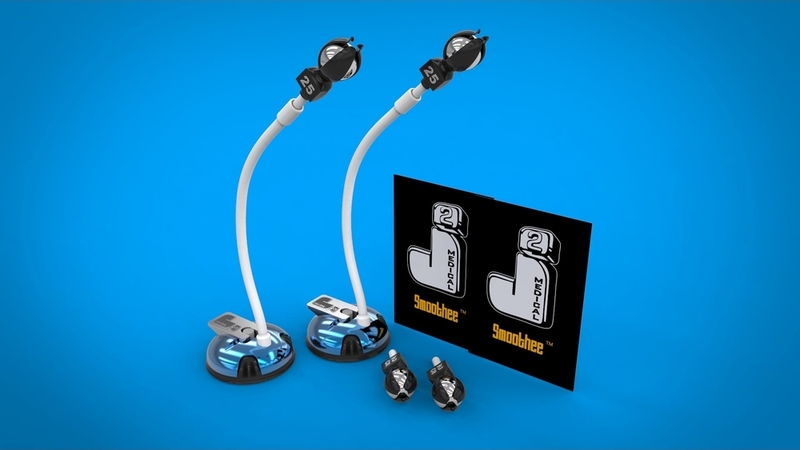 The ”Undercover” uses a protective 2.2 mm copper shield to provide better clarity of the calibration marker by absorbing low attenuation scatter during body part imaging that requires higher beam intensity. Better visualization of the spherical marker improves accuracy of the presurgical plan yielding improved post surgical outcomes! 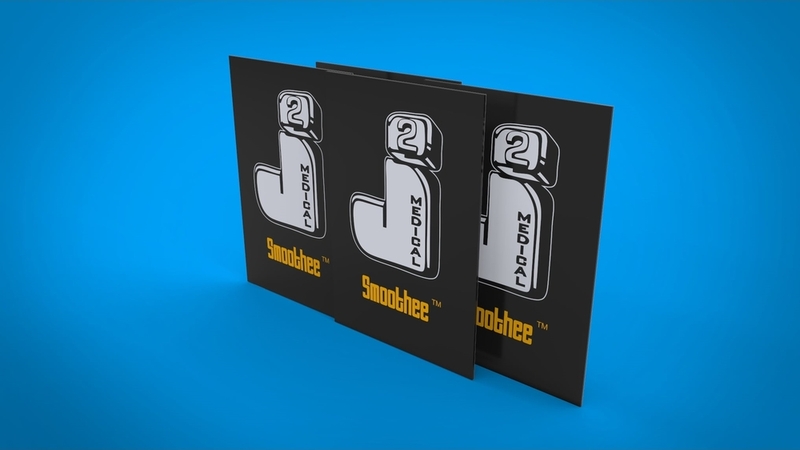 Smoothee™ surface strips make any NON smooth surface suctionable. For use with the Akucal suction base when a horizontal or vertical surface is textured. Each pack includes six 4×6 inch adhesive backed strips. Simply peel and stick as needed. One (1) Akucal Flat Base for heavily textured, padded, or any surface non conducive for a suction cup. Size 6″x8″. One (1) Akucal Undercover to provide better clarity of the calibration marker by absorbing low attenuation scatter during body part imaging that requires higher beam intensity. 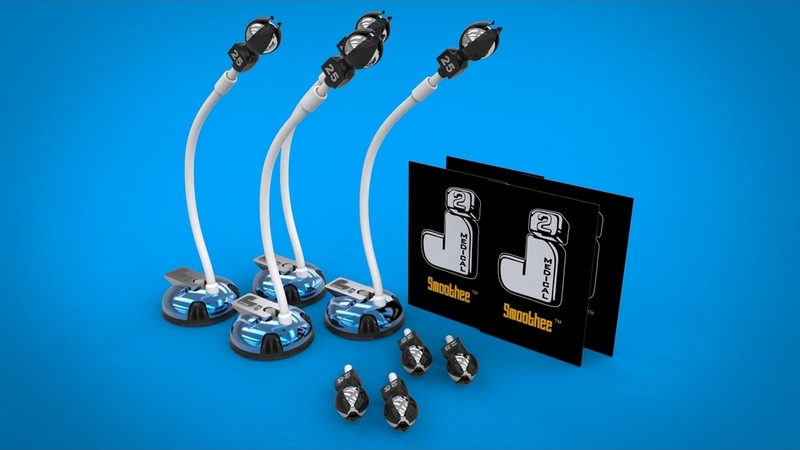 The PowerPAK™ is a starter package for up to two rooms. Two (2) Akucal EVO suction stands, two extra Rollr markers (4 in all), 2 extra Ballclaws (4 in all), and two (2) Smoothee™ strips. The HeftyPAK™ is a starter package for up to four rooms. Four (4) Akucal EVO suction stands, four extra Rollr markers (8 in all), 4 extra Ballclaws (8 in all), and four (4) Smoothee™ strips. The FatPAK™ is a starter package for up to eight rooms. Eight (8) Akucal EVO suction stands, eight extra Rollr markers (16 in all), 8 extra Ballclaws (16 in all), and eight (8) Smoothee™ strips. Do you have any outdated, severely used units or even an offbrand scaling product that you would like to upgrade to J2 quality? That's called loyalty and we reward you for it so let us know what's collecting dust! 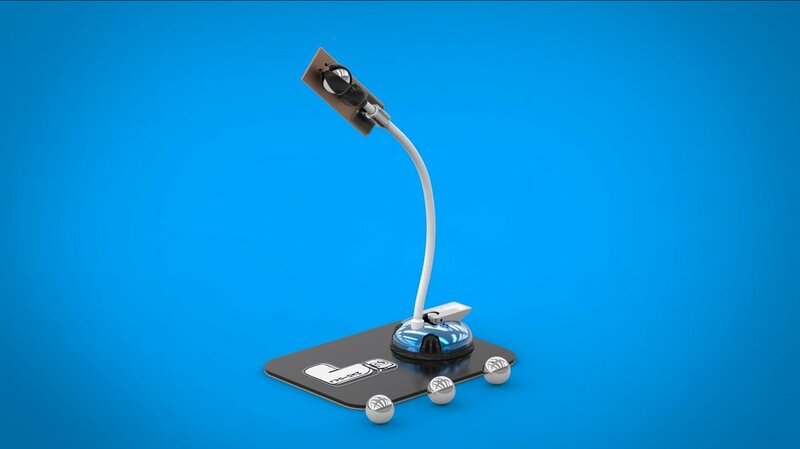 The Akucal EVO Suction™ is the predecessor of the most versatile and best selling calibration stand on the market. A suction base allows for use on both horizontal table tops AND on vertical wall bucky boards making this stand a single source solution for all scaling needs. 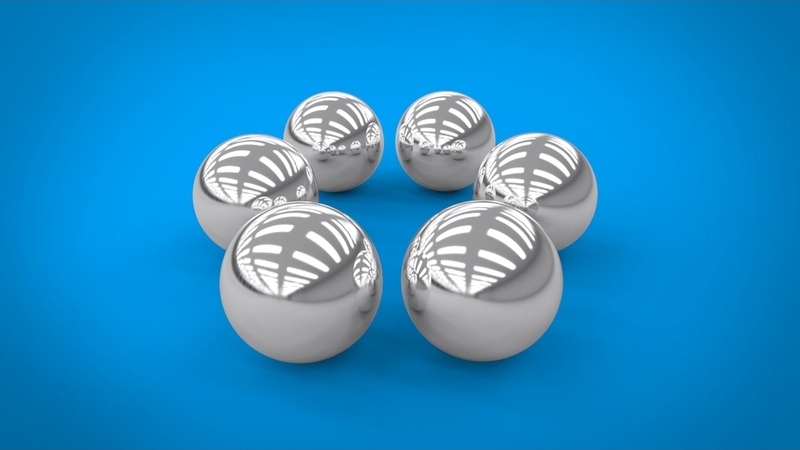 A patent pending radiolucent sphere holder and sphere size indicator unit ensures perfect visibility of the sphere in the image as well as the sphere size. 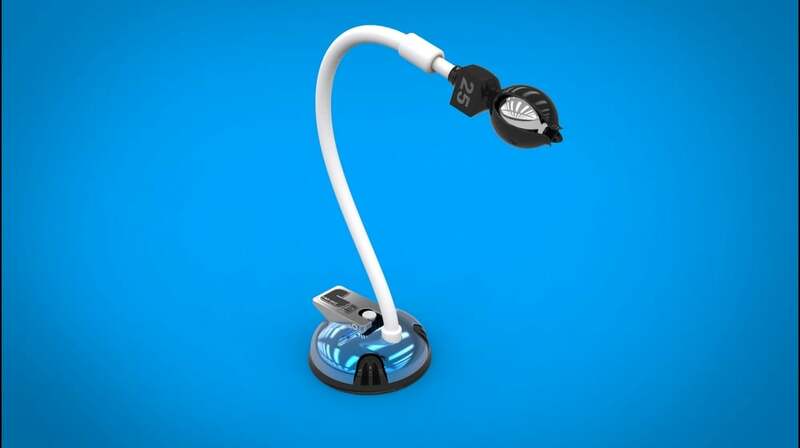 Simply place the suction base near the area of interest and use the flexible arm to position the marker at anatomy level.Please be advised that a smooth flat surface is essential for best results. 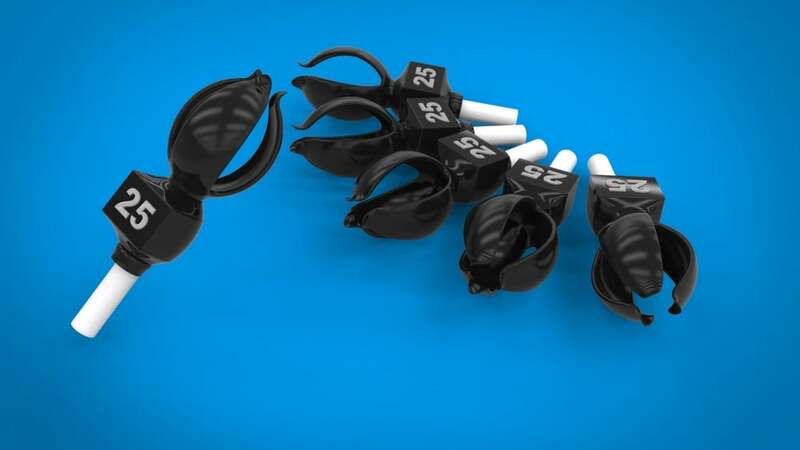 Ball Claw™ removable marker holder allows complete and total freedom to sanitize, autoclave, or use the marker during complex situations. Evo Arms are flexible and completely covered to make sanitising a breeze. Each base is custom machined from the high quality materials. The new Evo Flat Base is solid stainless steel and boasts the smallest footprint available. The new Evo Suction starts as a solid block of aluminium billet and ends as the finest anodized suction cup ever produced. Quick release finger tabs are the icing on the cake. 100% solid Rollee™marker shows clear and concise in every image. Hollow markers are inferior. New Co-molded lead figures reference the marker size in every image. Just one of Akucals’ patent pending features that you won’t find anywhere else.